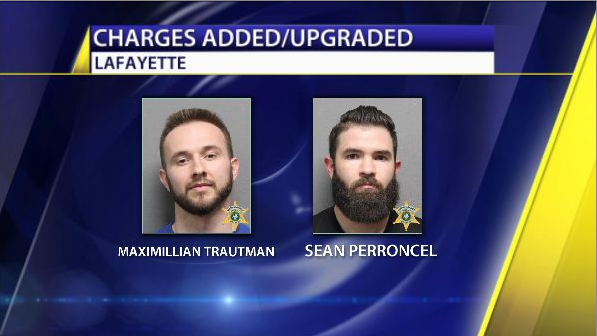 Both Maximilian Trautman and Sean Peroncel are facing Second-Degree Murder and armed robbery charges in connection with the death of Pernell Boudreaux. Initially Perroncel was charged with accessory after the fact, and armed robbery has been added to both men’s charges. Their bonds now stand at half a million dollars each. The Sheriff’s Office has not disclosed a motive to the crime.